Buy Prodigy Aerial Silk | Professional low stretch Aerial Fabric. Prodigy Silks are a premium line of low stretch, beautifully shiny nylon based aerial silks, now available from firetoys! The Prodigy silks are woven from nylon in a way that gives them a small amount of bounce, without making them so stretchy as to drain your energy while climbing. This gives them enough cushioning for drops while leaving you with the stamina for long performances and routines. These may not be the best for learning drops on however, for more cushioning silks, see our own Firetoys Aerial Silks. Low Stretch does not mean no stretch though, and the limited stretch these silks do have means that wraps won't constrict you or cut into you like some cheaper nylon silks can do, allowing both efficiency and comfort. 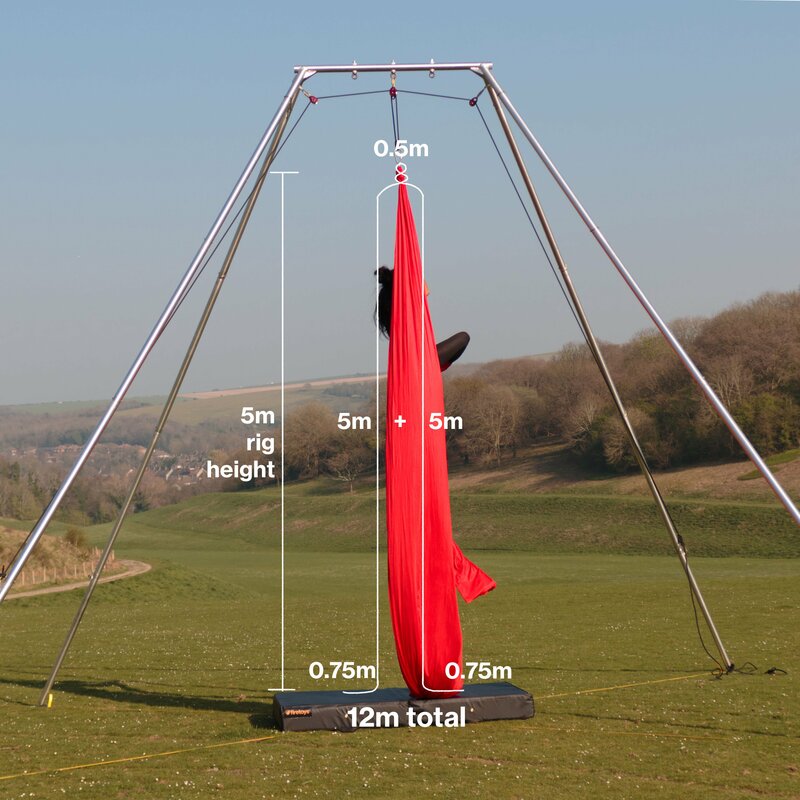 Prodigy Aerial silks are also much wider than most silks available in Europe, measuring in at 290cm wide, these are excellent for cocoons and width based wraps, and can also be rigged as a hammock/loop. Fear not though, as they are a slightly finer knit than many silks at 40 denier, even with both halves bunched together, they won't be too bulk for most aerialists hands. Great fabric, I love it! I wanted a fabric that I could use for both silks and have it wide enough to tie into a hammock and I love every inch of it! I've had it for a year now and it has gained a little stretch from the tiny amount it had in the beginning, but it's not too much. The silk has a beautiful shine to it without being slippery and I like that it's wider than other silks. It is a bit heavy to pick it up for spinning and some wraps, but it also makes it easier to pick up a spin quickly.